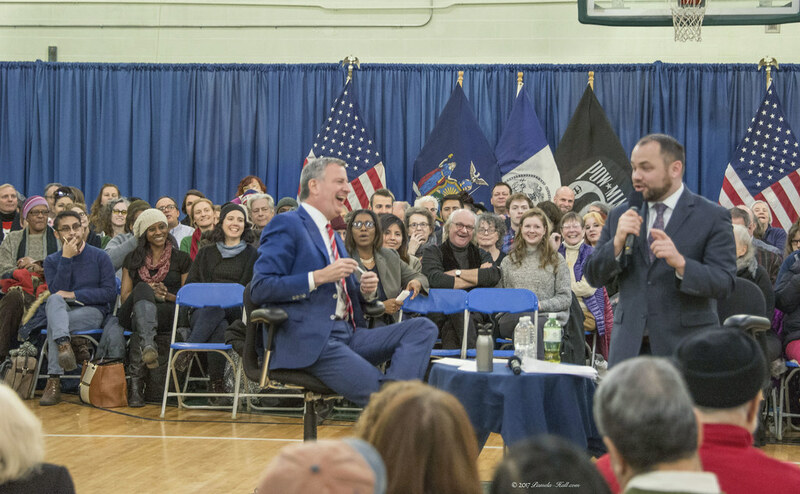 March 15, 2017 - 7 PM - First rule of politics (that Repubs seem to have neglected) Never attend a Town Hall meeting you can't control.That's what Comrade de Blasio did with great aplomb. 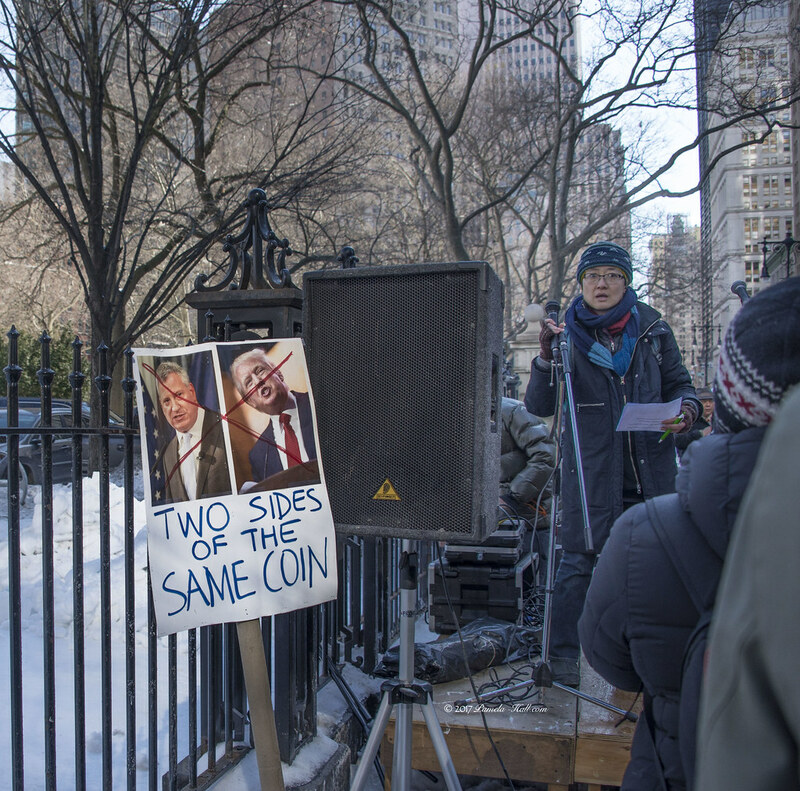 The NYPD, the NYC Council members, the local progs,who remain loyal to the mayor, packed the meeting with loyalists who understood they were there to make nice with the mayor, or else. Even the so-called "hard questions" were asked with respectful voices. No shouting. No screaming. No chanting. No signs (nothing like that was permitted). No Way. No How. 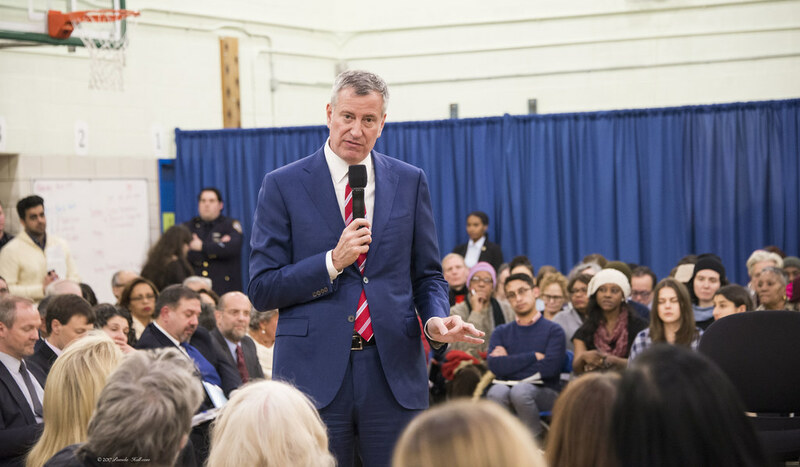 I listened to the town hall meeting for about 90 minutes of a three hour marathon, with nary a spark of discontent. The Mayor and Councilman Johnson offered the usual FRIENDLY soc/commie/prog responses to a very receptive crowd. Stuck-on-stupid for almost every question or complaint, the most recycled solution was,"We need MORE Progressive Democrats in Albany to get rid of Trump." Three hours of platitudes. Get rid of Trump promises. "We feel your pain. November 8th was a nightmare. We can fix it if we try. We are HERE FOR YOU!" So, where were the disenchanted heavy hitters? Those fellow-travelers who often demand that Comrade Mayor de Blasio step-down. I've heard them. Seen them. Guess inquiring minds were checked-at-the-door. Their press release said a people-of-color consortium lead this protest. 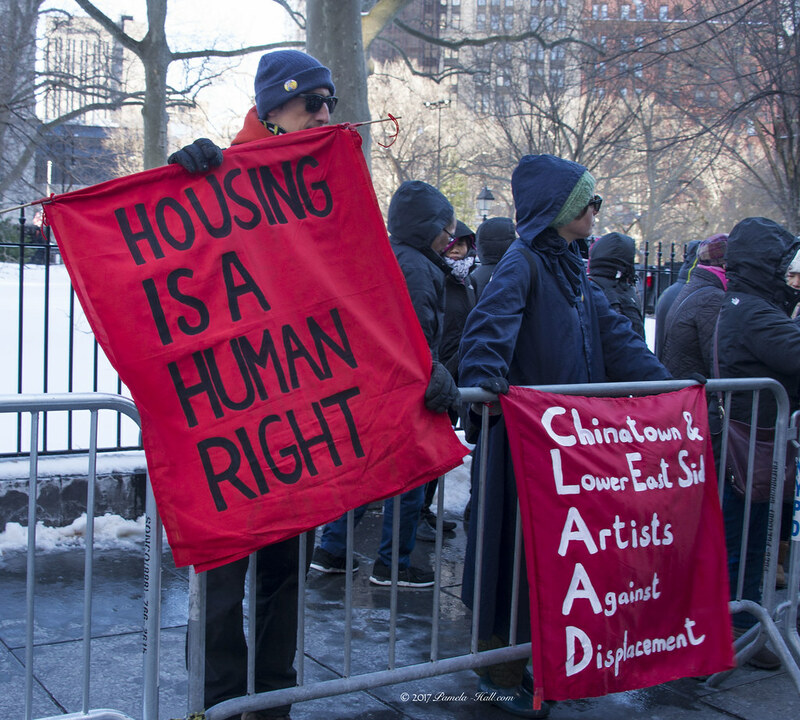 They gathered (AGAIN) with the same complaints heard on Jan 16, followed by "Mayor de Blasio must STEP DOWN!" Displacement. Selling blocks of real estate apartments - in lower economic communities - to build higher and higher 65 story replacements. 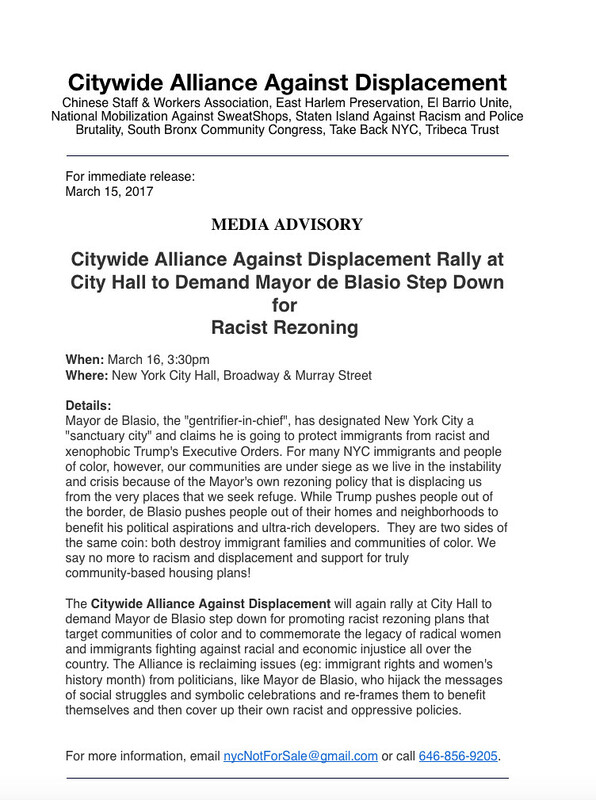 They want the displacement to stop. The graft and payments to stop. Seems ol' Red Bill's a bit soiled and his fellow soc/commie/progs are not happy that this "Progressive" mayor remains in office. 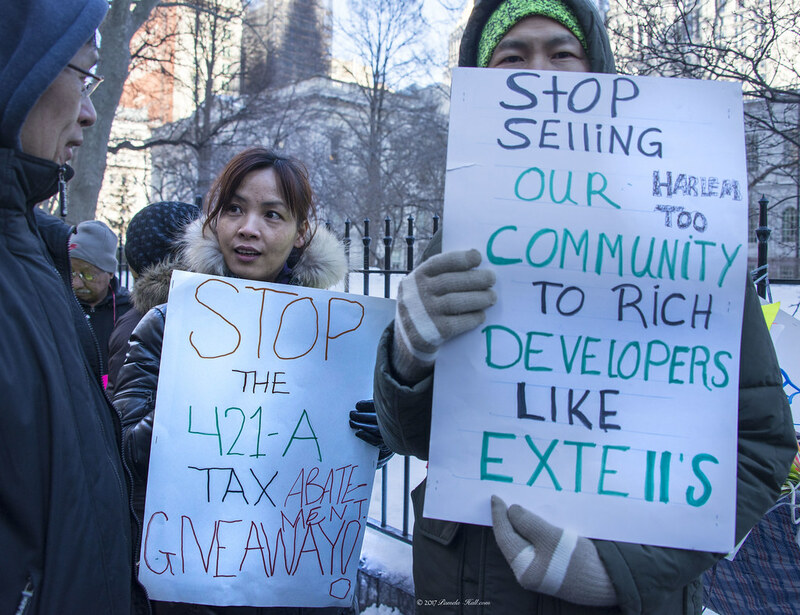 "Step Down de Blasio" The real estate developers are displacing NYC residents. 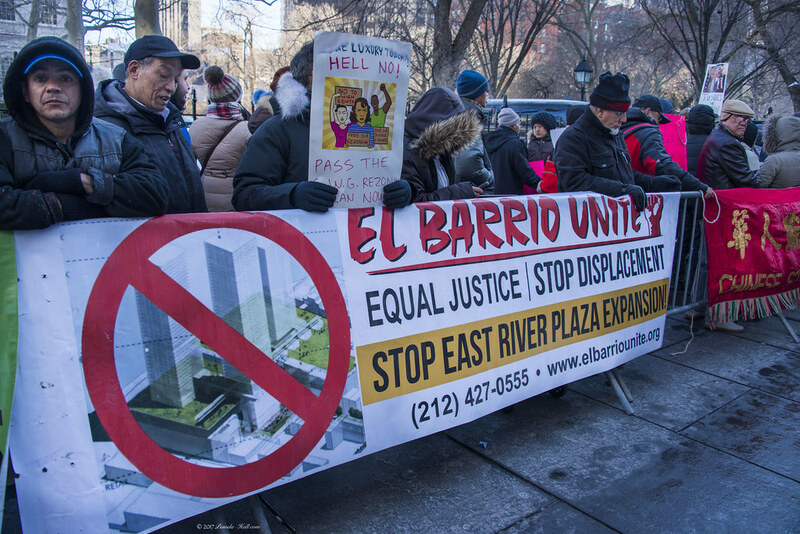 (With the mayor's blessing) Racist Rezoning is destroying immigrant families. 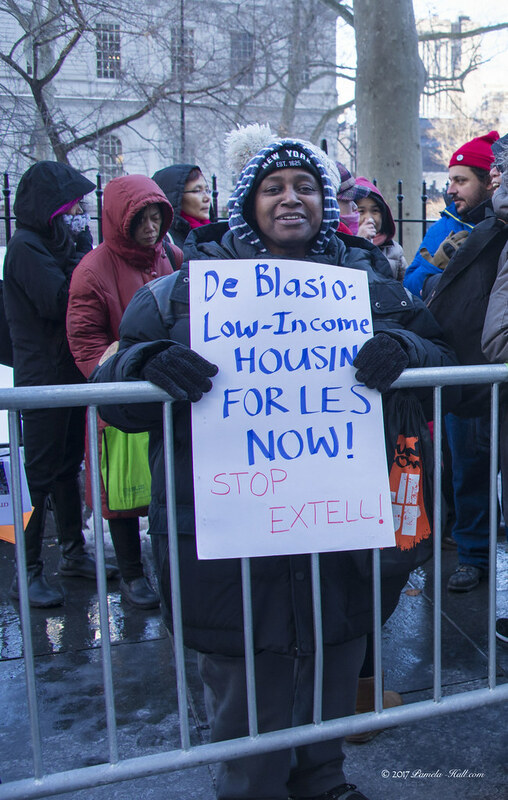 That's why "Bill de Blasio must go!" Now.